There are so many reasons to give your child a party. You really don’t even need a special occasion to throw a fun event for you child filled with friends and family. There are ways to throw a party on a budget and still make sure the children have loads of fun. 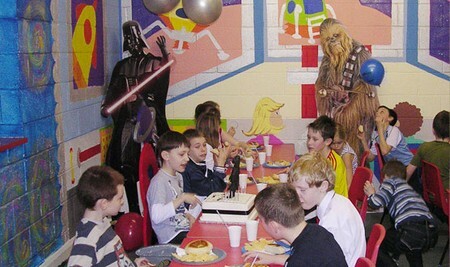 Here is how you can plan a child’s party for just $50. Read on. Decide on how the party invitations will look and who they will go out to.. You and your child can opt to make handmade invitations. You can do this by using construction paper and colored markers. You child will enjoy making the invitations and it adds a personal touch. If you don’t want to make party invitations, you can simply make a list of people you want to attend. You can give them a personal phone call to ask if they would like to attend the party. Decide the time of day you want to have your child’s party. Ideally, the time should be around 1pm- 2pm. This way you can get away with serving only ice cream and cake. At this time in the day the children should have eaten already. A late party gives people reason to think they will have a meal along with the cake and ice cream. Choose a location. A city park with a playground is a great choice. These places can be used with no cost. Another idea is a park with a trail for the children to walk and enjoy the nature trail. You can also plan an activity that involves listing the different elements of nature they saw on the trail. The cake is one of the most important elements of the party. You should opt to bake your own cake or even cupcakes. You can decorate the cake with party flavors and other discounted items to make you cake a point of interest. Shop around if you simply have to buy a store cake. Baking your own cake can keep the cost of the party down. You should plan things for the children to do when they come to the party. Plan activities that are free to you. Outside activities like catching bubbles, playing kickball, throwing Frisbee, or drawing creative pictures. The children will enjoy themselves and the cost remains low.